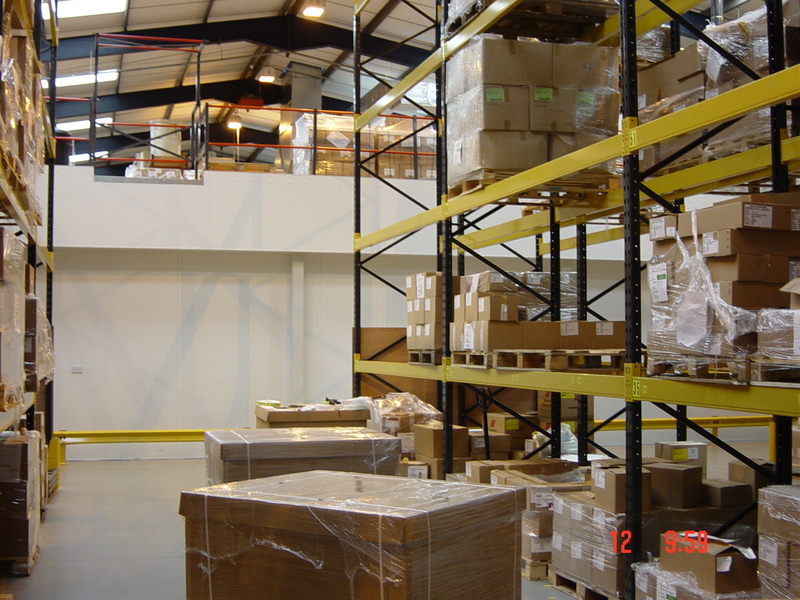 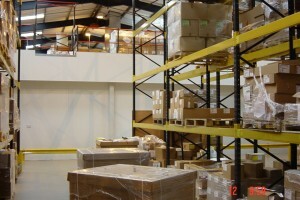 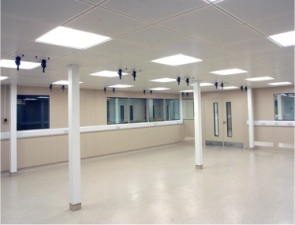 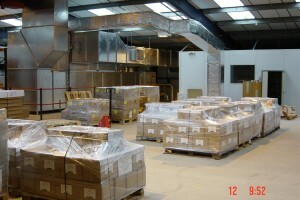 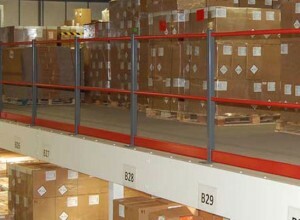 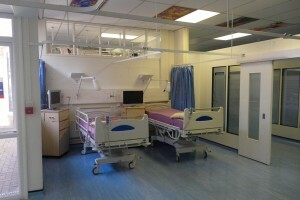 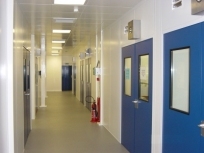 ESE Projects have designed and installed cleanrooms for use in the Food, Pharmaceutical and Electronics industries using double skin steel modular partitioning panels with steel pan suspended ceilings and some with a mezzanine floor above the cleanroom to provide a platform for the air handling units and storage space for the raw products / stock to maximise the use of the space available. We would really appreciate the opportunity to help you with your project, whether it is full design and build or just the supply and installation of the modular cleanroom partitioning and steel ceilings. 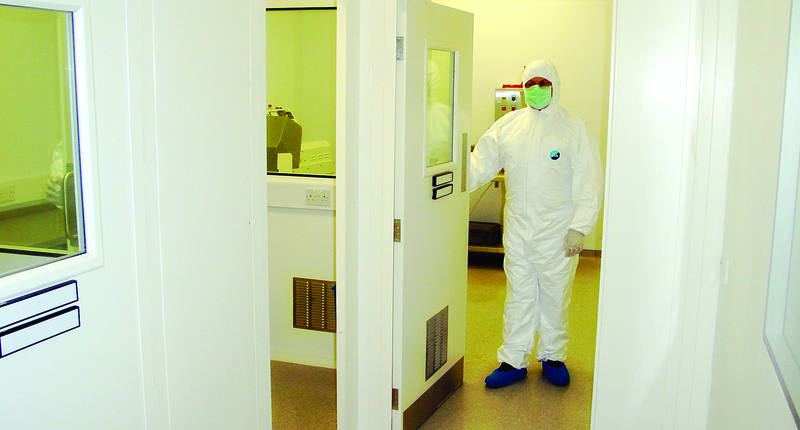 Cleanrooms are confined areas in which various environmental elements, such as contamination, particle matter, microbes, temperature, humidity etc are controlled within precise tolerances. 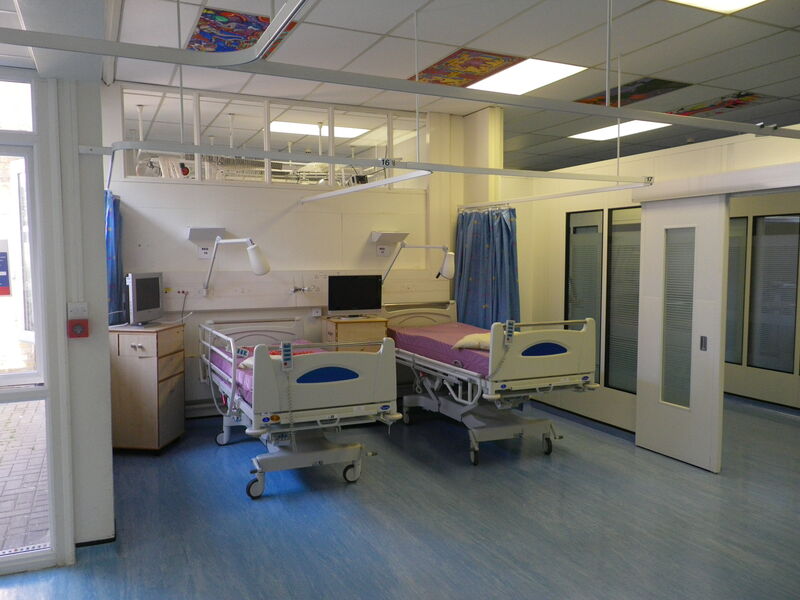 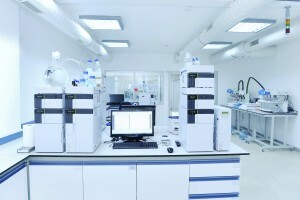 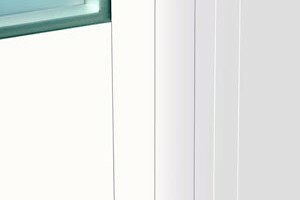 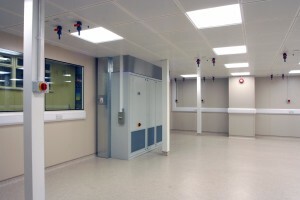 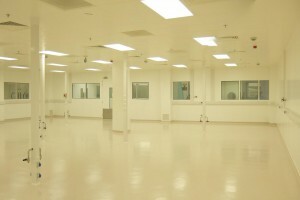 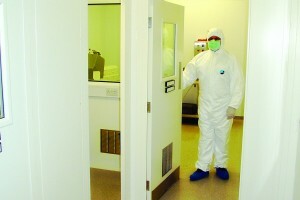 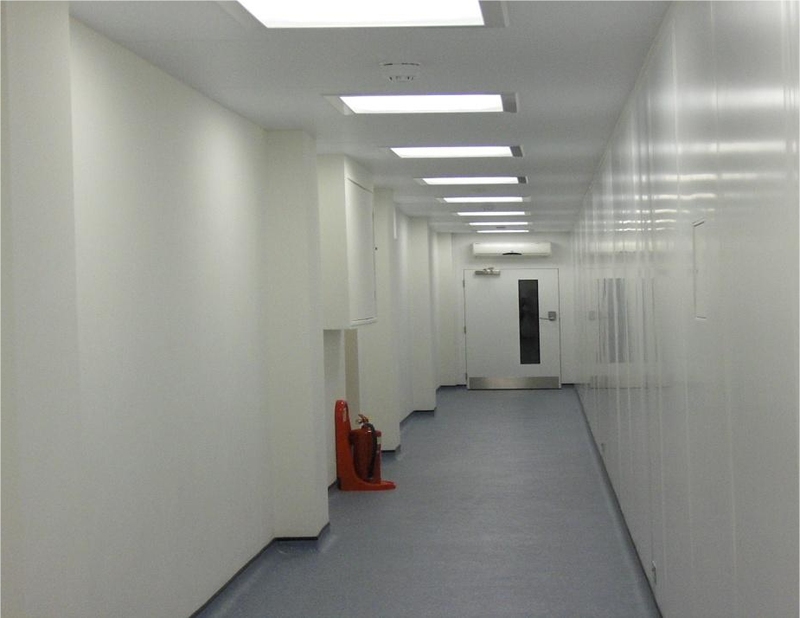 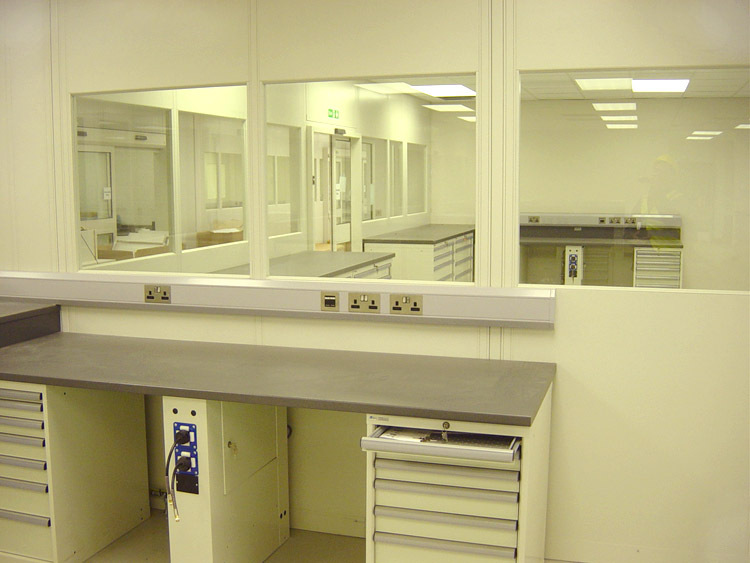 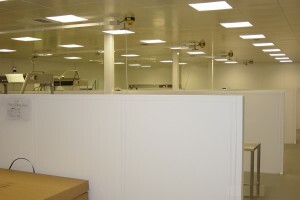 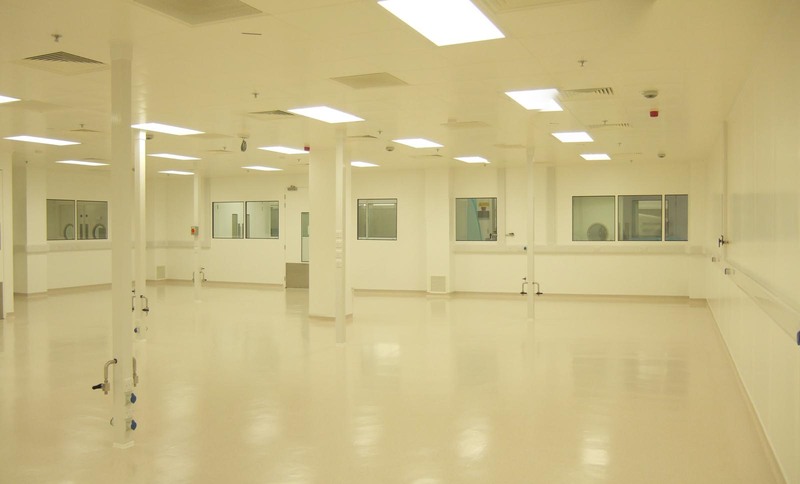 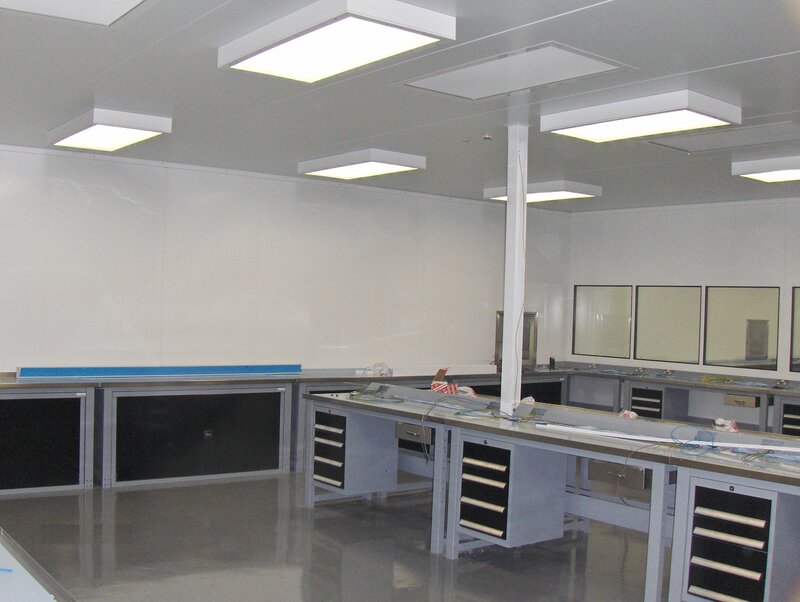 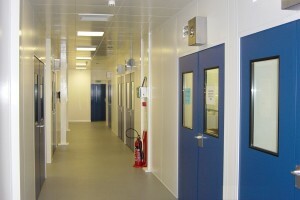 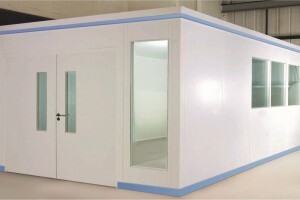 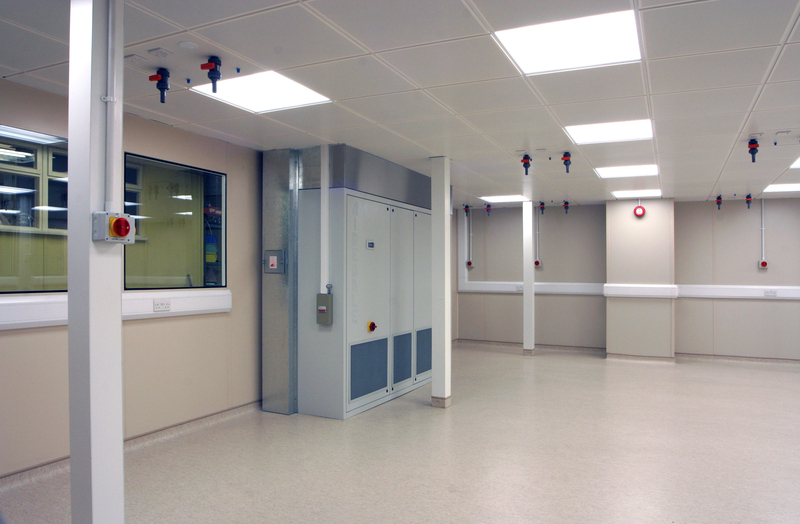 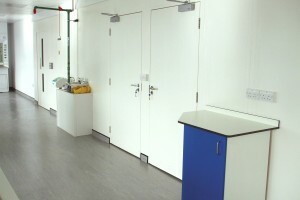 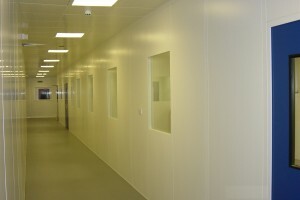 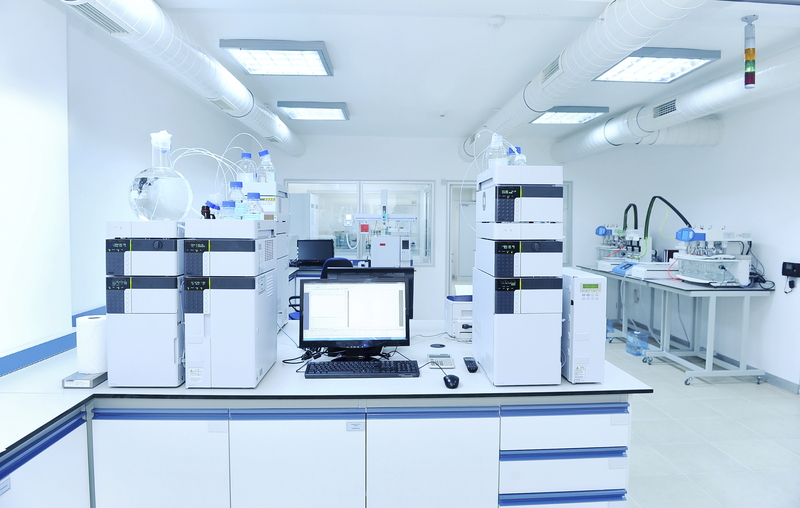 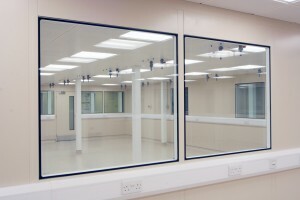 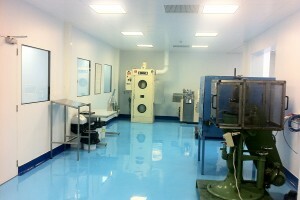 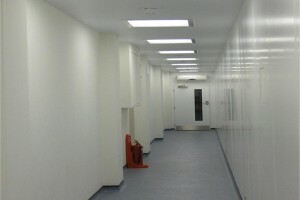 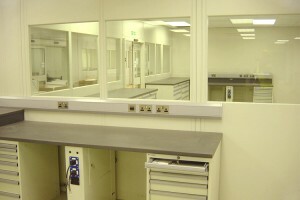 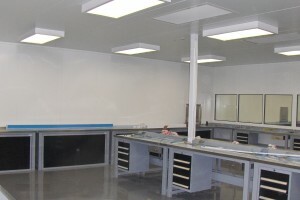 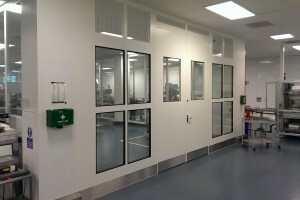 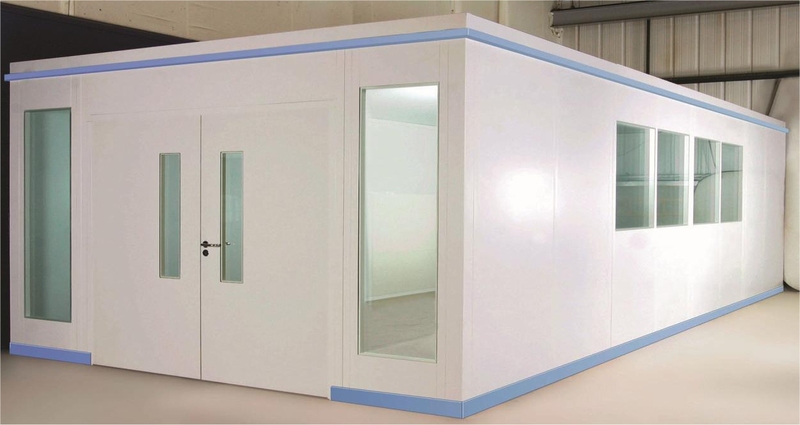 Cleanrooms can be used for the production and packaging of sensitive components, such as microchips and pharmaceuticals, which require high levels of cleanliness or precise temperature control and our demountable modular clean room partitioning systems walls are ideal for this type of application. 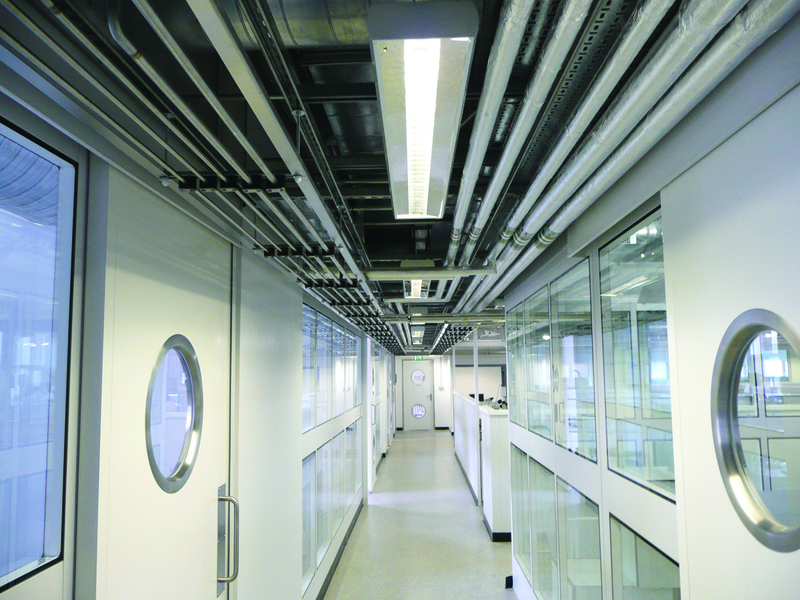 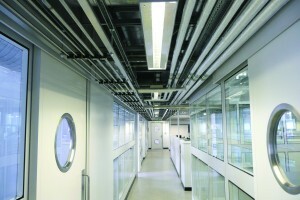 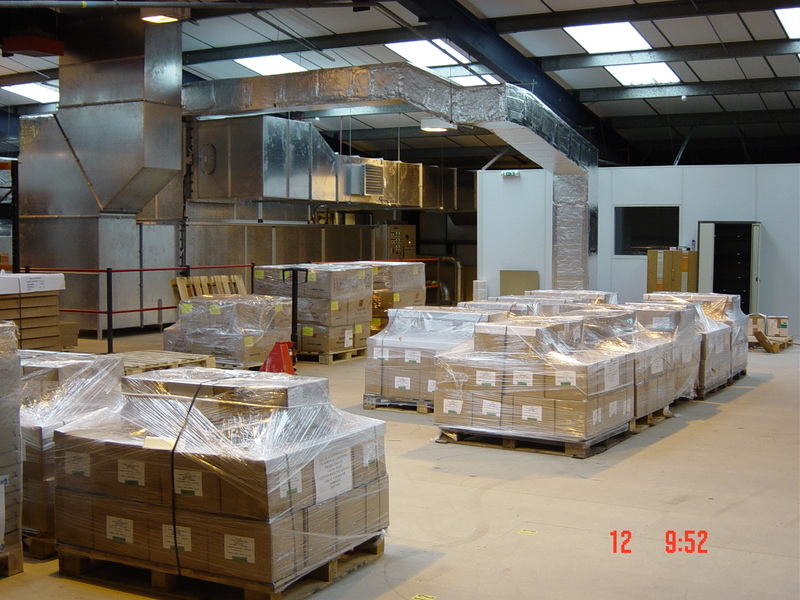 The environment within a cleanroom is controlled by the use of air filters and continuous laminar air flow. 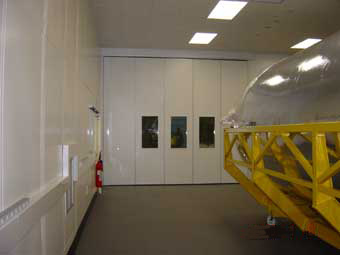 In a Horizontal Laminar Air Flow cleanroom, HEPA filters in a partition wall force clean air across the room, from one side to the other. 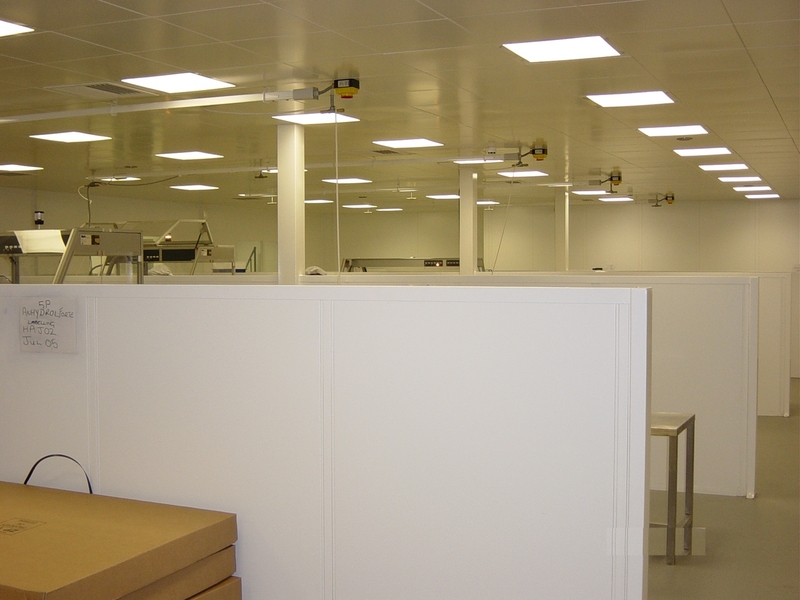 In contrast, in a Vertical Laminar Air Flow cleanroom, HEPA filters on the suspended ceiling push clean air down to the floor. 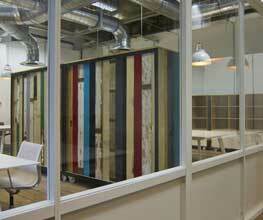 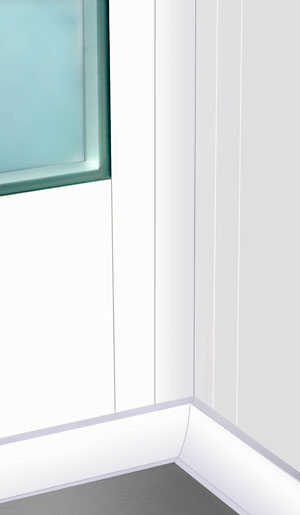 In both instances, the opposite wall or floor serves as an exhaust to remove excess air and to keep the air flowing. 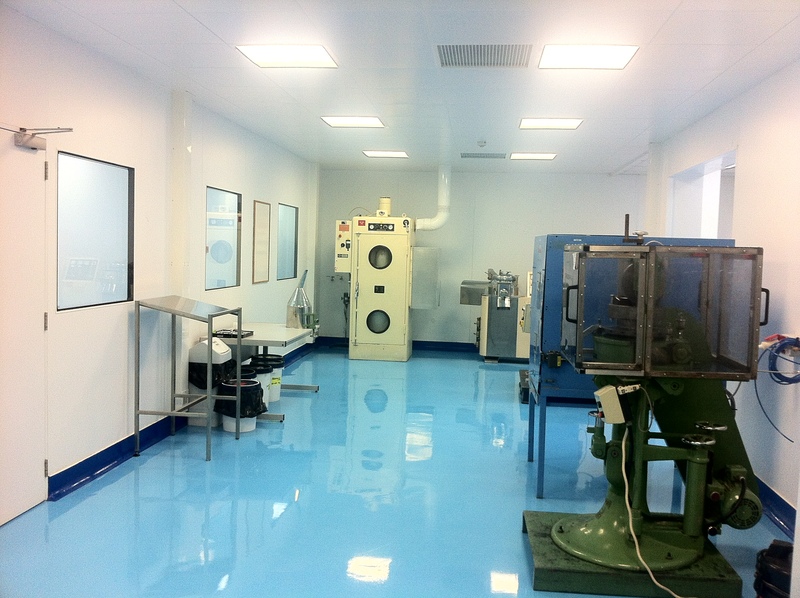 The cleanliness of these rooms is also directly proportional to the velocity of air moving through the room. 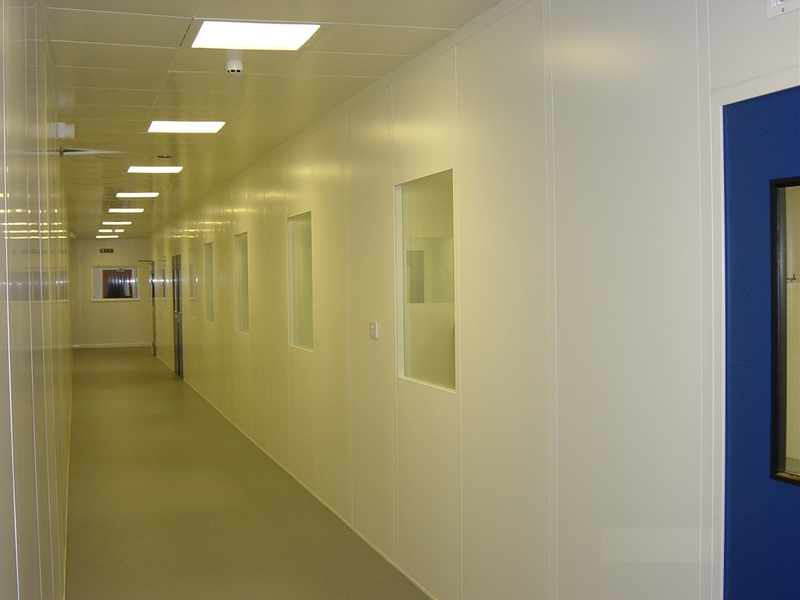 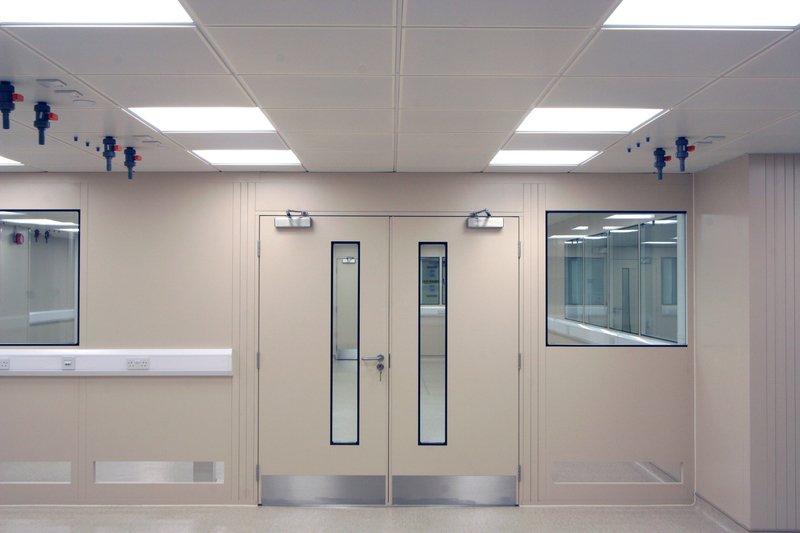 Cleanroom partition walls use modular partition panels which are predominantly solid elevation but also can have flush glazing and flush joints between the panels. 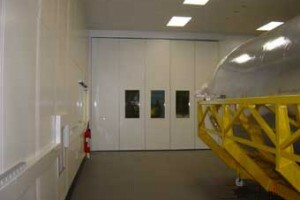 They are constructed using steel panels bonded to a composite infill for greater strength and rigidity. 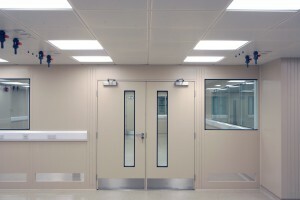 The panels slide into each other along a floor and ceiling top cap to seal the room, or if the panels are not being fixed to an existing ceiling a heavier duty freestanding top cap is used. 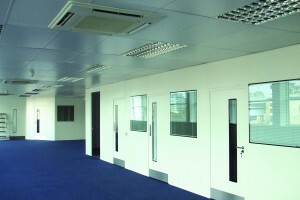 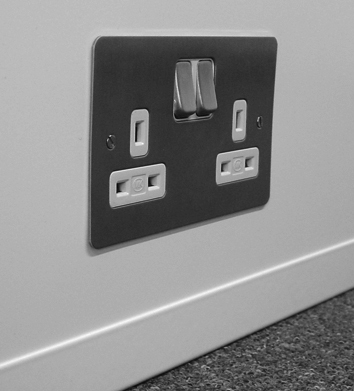 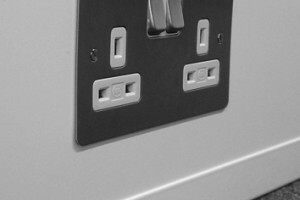 A number of accessories / variations are also available such as ventilation / extraction grilles, holes for conveyors, recessed or flush power plug sockets, concealed wire ways, integrated magnetic blinds, removable service panels etc, as well as anti-static, electrostatic-dissipative and anti-microbial finishes. 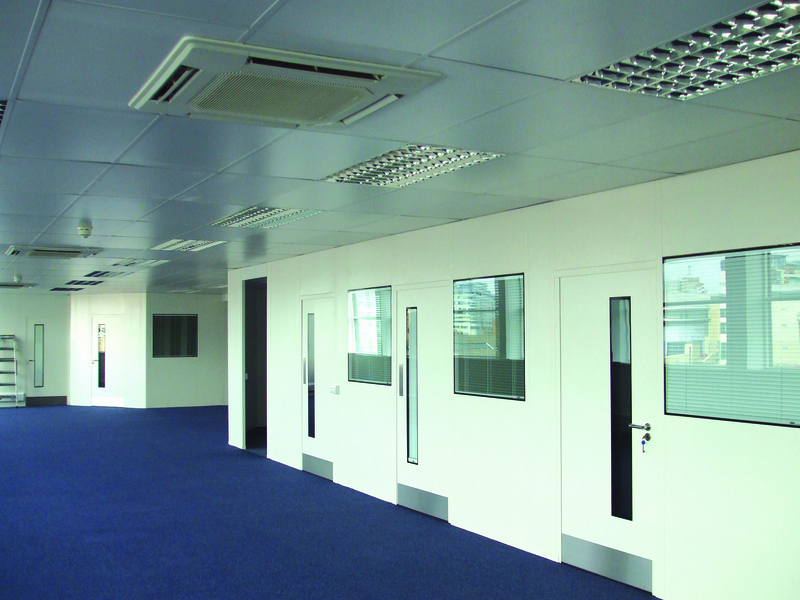 A number of modular panel elevations are available such as - solid / all steel - part glazed or two thirds glazed in a double glazed format. 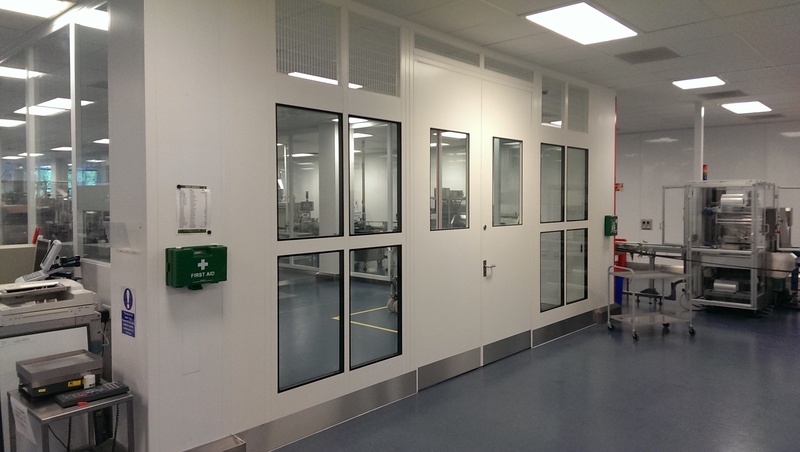 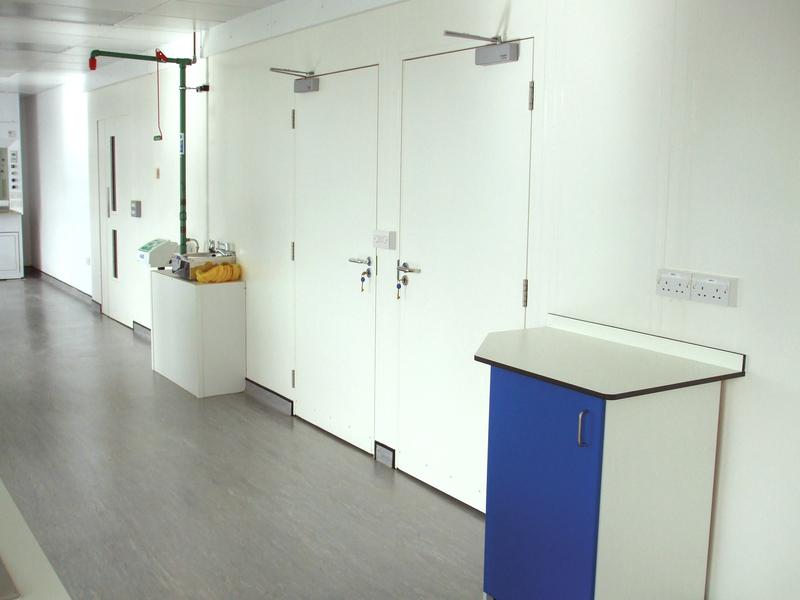 Doors are available as standard hinged single doors or double width doors (with or without vision panels) in steel or laminate finish with standard, digital, electromagnetic or swipe card locks and even electric door closures if required. 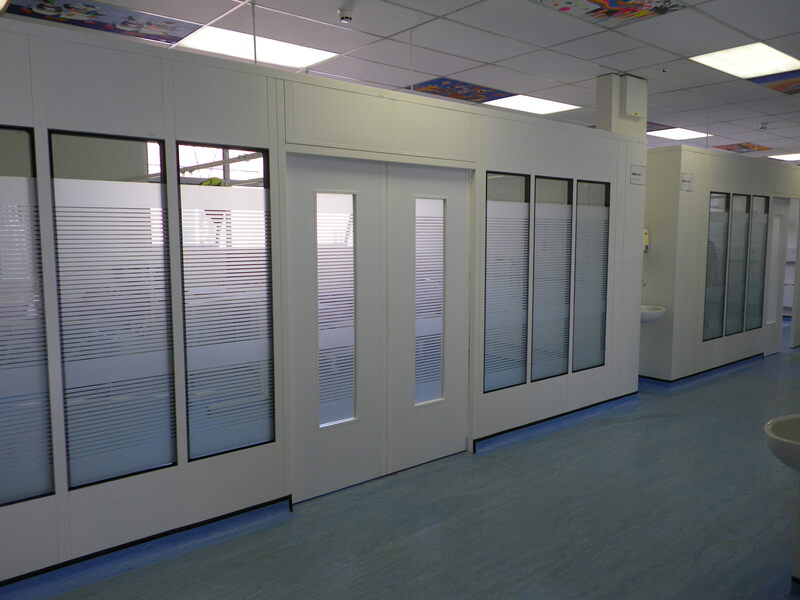 Standard panels available in 300mm - 500mm - 1m widths and 2.44m - 2.745m - 3.05m heights, although several other sizes and heights are available on request. 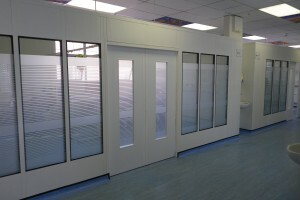 Standard finish is White RAL9016 polyester powder coating and the doors can be finished in different colours if required.